When you’re headed out into the cool spring air, what do you reach for? What do you grab when it’s time for Friday night tailgating? A hoodie! Essential to every woman’s apparel wardrobe is an eco-friendly, sustainable and socially conscious hoodie or sweatshirt. Hoodies are durable and suitable for just about every season. 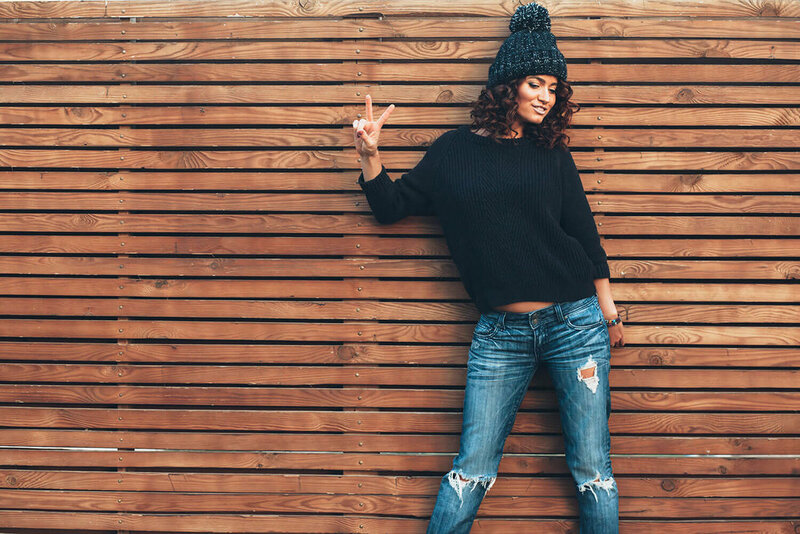 Whether you’re raking leaves, shoveling snow or just going for a walk, you’re going to find clothes and a sweatshirt on this list that suits your style. Here are the top fair trade, eco-friendly hoodies and sweaters for women. 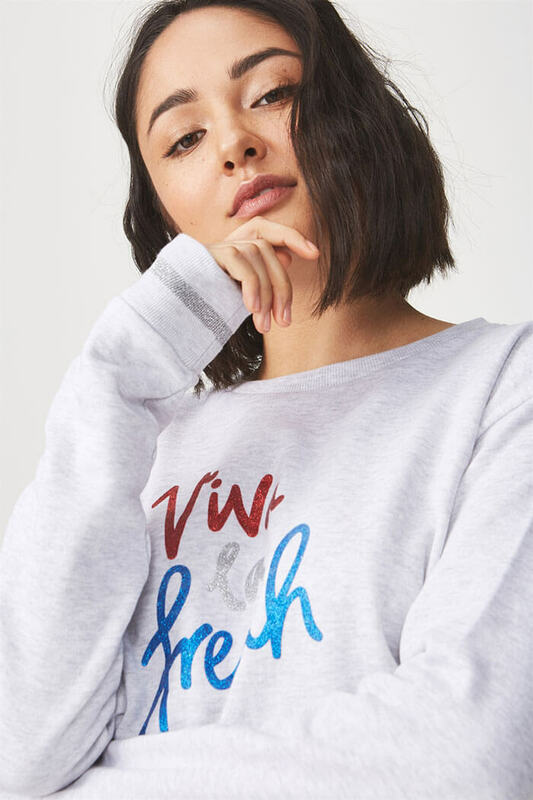 Cooler weather means more excuses to put on a soft hoodie, but you don’t need to wait for fall to check out this Vuori sweatshirt. The Halo features a full zipper in front and drawstrings to help keep the breeze away from your skin. Women love to keep this hoodie in their gym bag for a post-workout coverup or to wear while jogging in the cooler months. Available in black or heather grey, the sweatshirt offers two large front pockets for your wallet, gym membership card or house key. Vuori reviews say the sweatshirt runs a little small, so be sure to order a size up. Vuori is an American company with fair trade factories around the globe. Products are constructed using eco-friendly practices in the USA, Colombia and China. Patagonia is one of our favorite earth friendly, give back companies. The group takes great pride in its activist endeavors, including environmental campaigns and even employee participation in charity 5Ks! Each product offered by Patagonia is crafted under fait trade conditions and using eco-conscious methods. 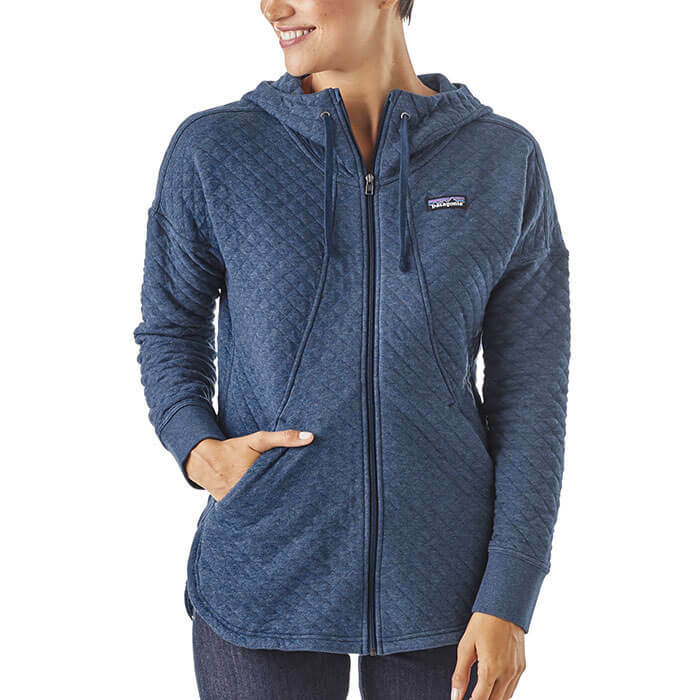 For our Patagonia review, we’ve chosen the Women’s Cotton Quilt Hoody. You can choose from five different colors – we kind of like the Dolomite Blue – and select from five different sizes. The hoodie is made, in part, from organic cotton which is super sustainable. Women love the extra tall collar on this hoodie as it keeps the elements away from the neck. Front pockets are the perfect size to keep your hands toasty warm, and the bottom hem is long enough to keep you covered, even if you’re tall. Plus, you’ll love the quilting detail of the organic cotton jacket face. This is not the first Lole review we’ve posted on Citrus Sleep. We appreciate the North American company’s efforts to give back to the planet and to the global community. Lole sponsors several programs including Yoga Mala Foundation throughout the year which benefit women. The company also accepts donations of gently loved Lole gear – that clothing is then given to women who wouldn’t otherwise have access to warm, comfortable clothes. The Saya Top is one of the most comfortable you can buy. The slouchy top is perfect for yoga class or a morning jog. Or, you can just pair the Saya with your favorite jeans for a laid-back style. Choose from three different shades and five different styles. The relaxed fit is flattering to any figure, and can be worn alone or layered. To quote the United by Blue website, wearing this hoodie is like “zipping on your favorite blanket.” We couldn’t have described it better ourselves. The Standard Zip Up Hoodie is so soft, you may want to wear it to bed! Created from 50% organic cotton and 50% recycled polyester, this is also one of the most eco-friendly and sustainable hoodies available. You can choose from four machine-washable colors and United by Blue even offers payment options; go ahead and buy one of each! We couldn’t include a United by Blue review without mentioning the best aspect of the company. For every product purchased from United by Blue, one pound of trash is removed from global oceans and waterways. Want to participate? Wear your Standard Zip Up Hoodie to one of the company’s upcoming cleanups. Stio is based in Jackson Hole, Wyoming and they call themselves the caretakers of the mountains. For that reason, Stio gives back to conservation efforts like The Conservation Alliance and American Prairie Reserve. They also partner with groups like Keely’s Ski Camp for Girls to give back to the global community. For our Stio review, we’ve chosen to feature this simple Pine Cone Sweatshirt. Crafted from 50% cotton and 50% recyclable polyester, the shirt is guaranteed to be soft and snuggly. Wear it camping or just to stay warm in the cool fall evenings; the fleecy feel of this hoodie is one you’re going to love. You can choose from heather navy or dark heather grey. 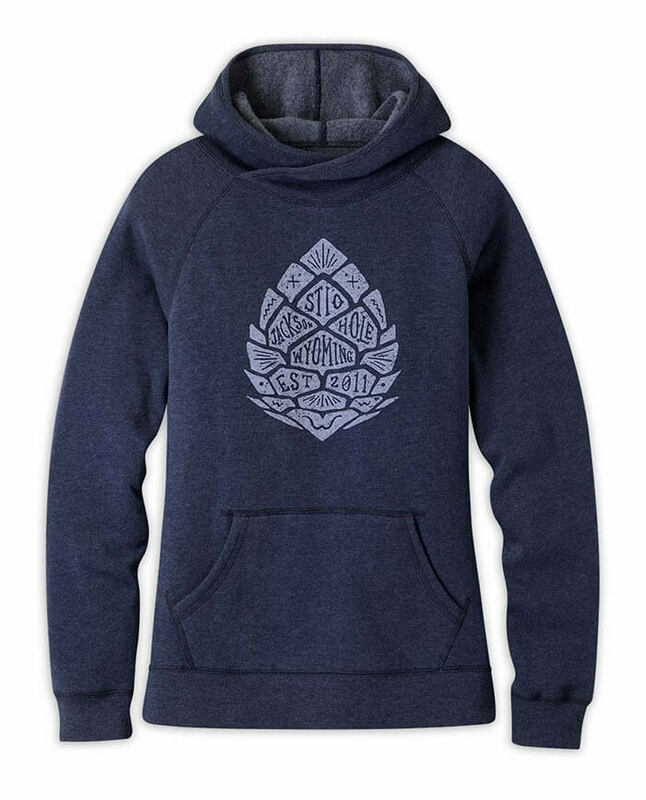 The sweatshirt fits true to size, and features a hand-pressed pine cone design. 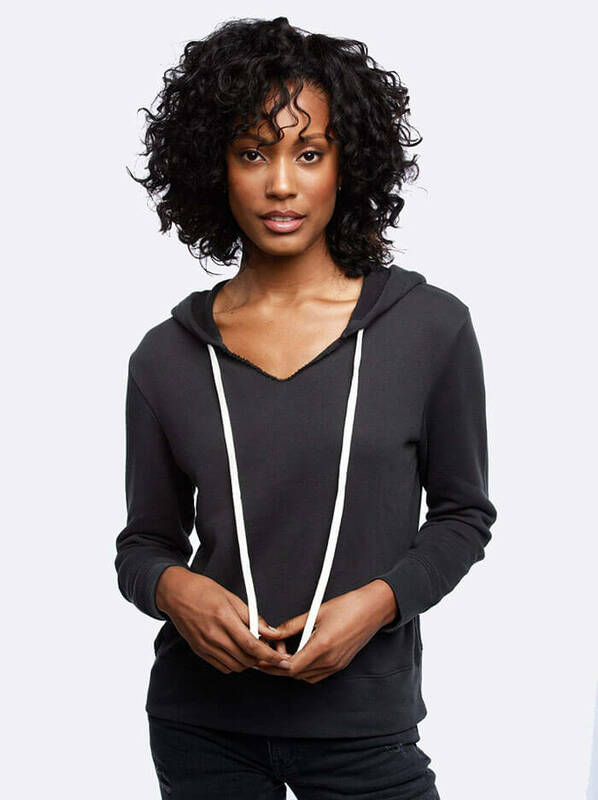 Women love that this hoodie has a ribbed trim on the hood – there are no drawstrings to get tangled in the wash.
Have you ever worn yak’s wool? If not, you’re missing out. Unlike some other wool products, yak’s wool is soft like cashmere – it’s never itchy. Kora creates each product in its line from insulating, temperature regulating yak’s wool that comes from Himalayan herders. In fact, Kora company founder regularly travels to the Himalayas to visit Kora’s suppliers. The nomadic herders are paid a premium price for their wool, which keeps the small communities thriving. For our Kora review, we’ve chosen the Xenolith Sweater for women. This sweater is designed to be a mid-layer for cold temperature adventures, but you can wear it to the gym, too. It’s soft and breathable, and the sweater features a zipped inside pocket, the perfect place to stash your cell while you work out. The Xenolith Sweater was created with movement in mind. You’ll find that the back hem is longer to keep you covered as you bend. The arm holes are cut to prevent the shirt rising when you reach out. Playing in the cold weather? The Xenolith Sweater fits perfectly over your favorite baselayers without bunching or feeling bulky. Like yak’s wool, Merino wool is soft and breathable. It offers antibacterial properties, which means you can play hard with no odor. Merino wool is also moisture-wicking, leaving you feeling comfortable and confident. Unlike yak’s wool, the Merino wool used to make this Duckworth Comet Tunnel Hood is sourced in the United States. Duckworth sources its wool from a Dillon, Montana ranch. Then, that wool is sent to the Carolinas where each quality product is crafted sustainably. We chose the Comet Tunnel Hood for our Duckworth review because it’s a versatile little piece. It’s designed to be used as outerwear but women say the fabric is soft enough to wear directly against their skin. The cut is feminine and flattering, and you can choose from three different colors. Our favorite is the Natural, but the Royal is a popular choice, too. You know YETI. They’re the cooler people. Did you know that YETI also makes men’s and women’s clothing for outdoor use? 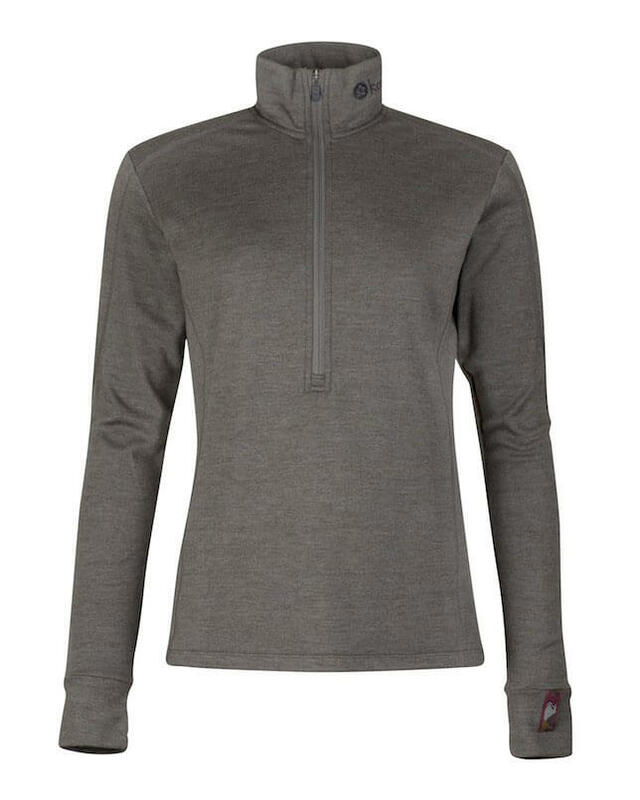 Our favorite, and the product we’ve chosen for our YETI review, is a simple logo pullover. It’s a great addition to your camping gear bag, or just keep one in the truck for tailgate parties. The sweatshirt is made from a 50/50 blend of sustainable cotton and recyclable polyester. Women who have worn the shirt say the soft-brushed interior of the hoodie is as smooth as silk. The shirt is roomy and boasts deep pockets – just the right size for your water bottle or wallet. YETI may be known as the cooler people, but they’re also doing good things for the planet. The company partners with The Billfish Foundation, American Rivers, Captains for Clean Water and many other non-profits to support human interest projects and environmental improvement. People Tree is a British, GOTS Certified (Global Organic Textile Standard) company that sources only fair trade, ethical clothing and materials. Over the almost three decades since they’ve launched, People Tree has teamed up with small-scale manufacturers and artisans to ensure fair employment for women, people in developing nations and physically challenged people. For our People Tree review, we’re featuring this quirky little sweater from Peter Jensen. The sweater is made from 100% organic cotton so you know it’s soft as can be. Ribbed cuffs and a ribbed collar keep the cool breeze off your skin, and the neckline is plenty wide to show off your layers. 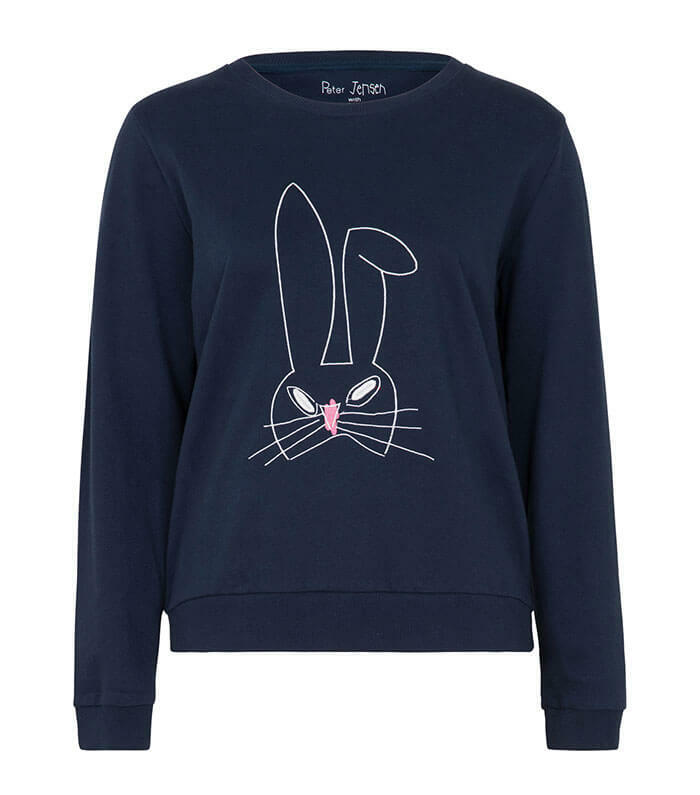 Of course, your Peter Jensen Rabbit Sweatshirt was made under ethical conditions. Each shirt is crafted by a small company called Assissi Garments in India. Next on the list of the top fair trade, eco-friendly women’s sweaters is our ABLE review. We love ABLE because they support women who wouldn’t otherwise be employed. ABLE sources its products ethically and globally, and wages for every worker are published for transparency. This particular hoodie, the Gonzales Hoodie, is crafted in Peru by female artisans. It’s made from soft French terry which is comprised only of cotton. With its relaxed fit, you can wear this hoodie to dance class or just out with the girls. A drawstring allows you to cinch the hood in cooler weather, while a generous v-neck and a midweight cotton keeps you cool. The Gonzales Hoodie is machine washable, but it’s recommended you tumble dry low or air dry to avoid shrinkage. Women who have reviewed the Gonzales Hoodie say it retains its shape, even after many washes. If you’re looking for a hoodie that’s lightweight and appropriate for three seasons, look no further than our MPG Sport review. This little hoodie comes in two colors and features two front-zip pockets. Stick your wallet or your keys in your pockets and keep them safe while you move around. While some hoodies are baggy and unflattering, the Valencia Lite Signature Hoodie is feminine and fitted. It’s long enough to wear with your favorite yoga pants or pair the top with a maxi skirt. No matter how you wear it, you’ll feel comfortable and sassy in the structured hoodie. You’ll also appreciate the thumbhole cuffs. Your hoodie stays in place as you bat for your team or just pick up a few groceries. Plus, MPG Sport is one of our favorite give-back companies. The business launched the Mondetta Charity Foundation to help eliminate hunger. Every purchase you make goes to provide meals to refugees and others in need. MPG Sport has provided over three million meals to date. The Ferguson Graphic Crew Sweatshirt by Cotton On is the perfect all-occasion sweater. In fact, it’s ideal for dreary fall and winter days. The reason for this is Cotton On has constructed a cotton-polyester blend that’s lightweight and breathable, yet weather resistant. We could have chosen any hoodie or sweater for this Cotton On review, but we thought you might love the detail of the Ferguson Graphic Crew Sweater. First, there’s a rounded neckline with fitted cuffs. Secondly, you’ll love the fit of the sweater. It’s long and loose enough to cover your back as you bend. Your Cotton On Ferguson Graphic Crew Sweatshirt purchase supports Fair Trade, too. Cotton On is a member of the Better Cotton Initiative movement. BCI is a non-partisan group which is working to add equality and support local farmers in Kenya. When you’re in search of a basic pullover sweatshirt that’s good for the planet, there’s no better choice than a Carhartt product. Carhartt is one of our favorite companies. They’re a WRAP Accredited business, which means every one of Carhartt’s products is produced ethically. Carhartt also participates in disaster relief efforts, donating products and financial assistance to communities in need. For our Carhartt review, we’ve chosen the Clarksburg Pullover Sweatshirt. The shirt is heavy, and women even say that, when layered, the sweatshirt is suitable to wear as a jacket in winter. You can choose from four different colors and six different styles. People who have reviewed this sweatshirt say it makes a great gift. Whether you work outside or just want a cozy sweatshirt, the Carhartt Clarksburg is a fantastic option. It’s simple, it’s durable and it’s comfortable. In short, it’s a classic every woman will love. It’s likely you’ve heard of the Mountain Hard Wear brand. The company is well known for its outdoor apparel, camping and hiking gear and even its tents. They’re also a socially responsible, eco-friendly company. Mountain Hard Wear is constantly improving efforts to reduce water use, landfill waste and emissions. As a matter of fact, Mountain Hard Wear was one of the founding members of the Sustainable Apparel Coalition! What’s more is that every product made or offered by Mountain Hard Wear is ethically produced. All workers in Mountain Hard Wear factories work under conditions that include no child labor, nondiscrimination, fair wages and ethical conduct. For our Mountain Hard Wear review, we’ve chosen the Women’s Microchill Lite Pullover Hoodie. This hoodie is fuzzy and fleecy, and it’s designed to create a slightly longer fit. That means you can play outside (or work outside) and feel comfortable – your skin won’t ever be exposed to the elements. The Microchill Lite Pullover Hoodie is great for fall days and spring mornings. For cooler days, layer the hoodie with a baselayer to keep you warm all day. 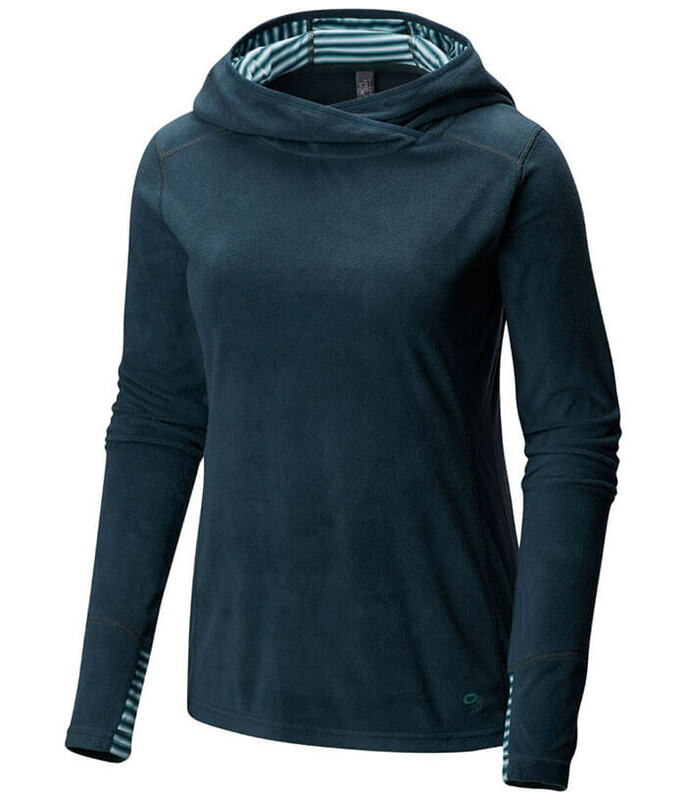 Last on our list of the top eco-friendly hoodies and sweaters for women is our NAU review. We chose to include something just a little different; hoodies are usually though of as casual little things, but we think this one is classy enough to dress up in! The Hyperspacer Full Zip Hoody by NAU is one of the most eco-friendly out there. 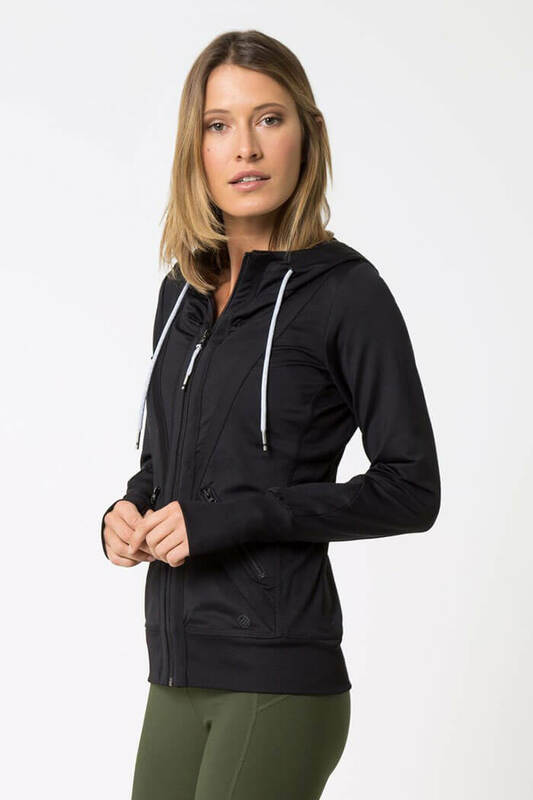 It’s crafted from a blend of organic cotton and recycled polyester, and the result is a soft-as-butter zip up piece that you can wear to work or out on a date. The NAU hoodie is machine washable and is available in four different colors. What we like most about the NAU Hyperspacer Full Zip Hoodie is the asymmetrical design. The hem is cut to lend an interesting look to the style, so you can dress it up for just about any occasion. NAU is a true give back company. The business was launched in 2007 and since that time they’ve donated 2% of all proceeds to Partners for Change. Partners for Change is a non-profit which seeks to better the global community, the environment and to promote social change.